The United States–Mexico border is the international border between the United States and Mexico. It runs from California (in the west) to Texas (in the east). It covers a variety of terrains, ranging from major urban areas to inhospitable deserts. 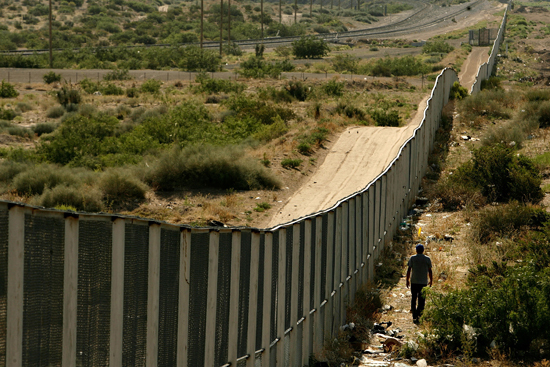 The United States–Mexico border has the highest number of legal crossings of any land border in the world. Over five million cars and trucks travel through the border annually. According to Vulliamy, one in five Mexican nationals will visit or work in the United States at one point in their lifetime. As of 2010, the border is guarded by more than twenty thousand Border Patrol agents, more than at any time in its history. However, they only have "effective control" of less than 1,100 km of the 3,145 km of total border, with an ability to actually prevent or stop illegal entries along 208 km of that border. 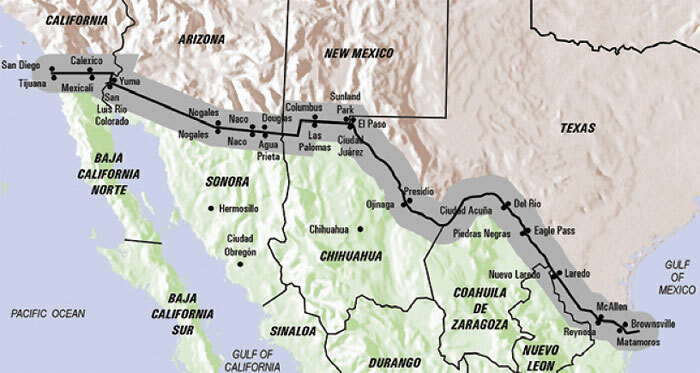 The border is paralleled by United States Border Patrol Interior Checkpoints on major roads generally between 65 and 120 km from the U.S. side of the border, and garitas generally within 50 km of the border on the Mexican side. 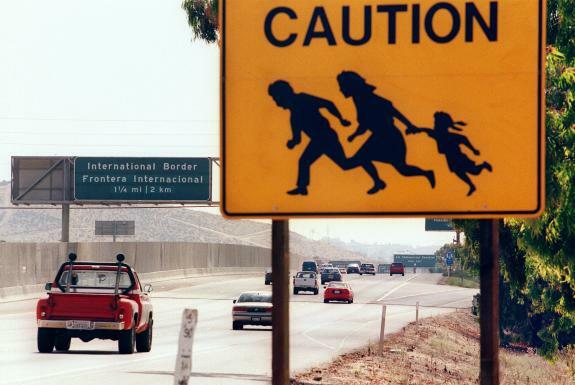 There are an estimated half a million illegal entries into the United States each year. Border Patrol activity is concentrated around big border cities such as San Diego and El Paso which do have extensive border fencing.